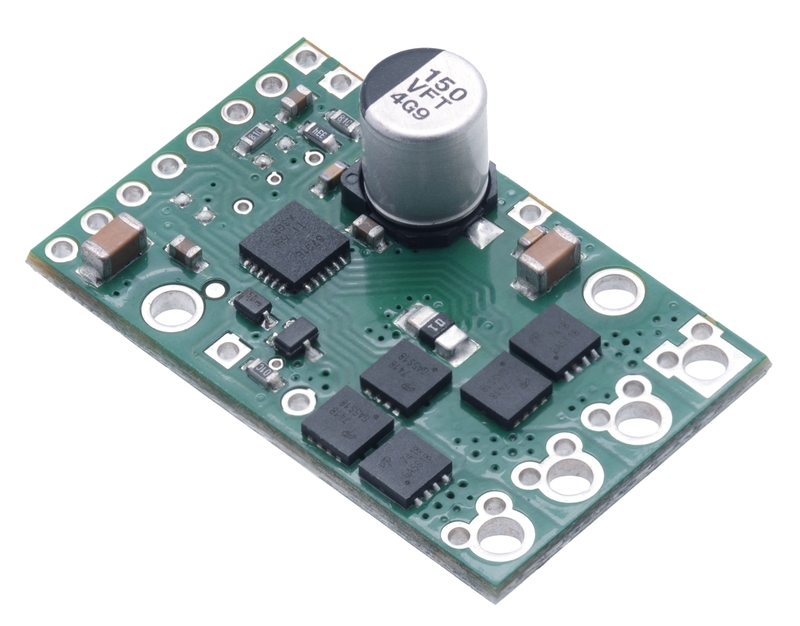 This discrete MOSFET H-bridge motor driver enables bidirectional control of one high-power DC brushed motor. The small 1.3″ × 0.8″ board supports a wide 6.5 V to 30 V voltage range and is efficient enough to deliver a continuous 17 A without a heat sink. Additional features of this second-generation (G2) driver include reverse-voltage protection along with basic current sensing and current limiting functionality. Note: Battery voltages can be much higher than nominal voltages when they are charged, so the maximum nominal battery voltage we recommend is 18 V (and use with 24 V batteries is not recommended) unless appropriate measures are taken to limit the peak voltage. 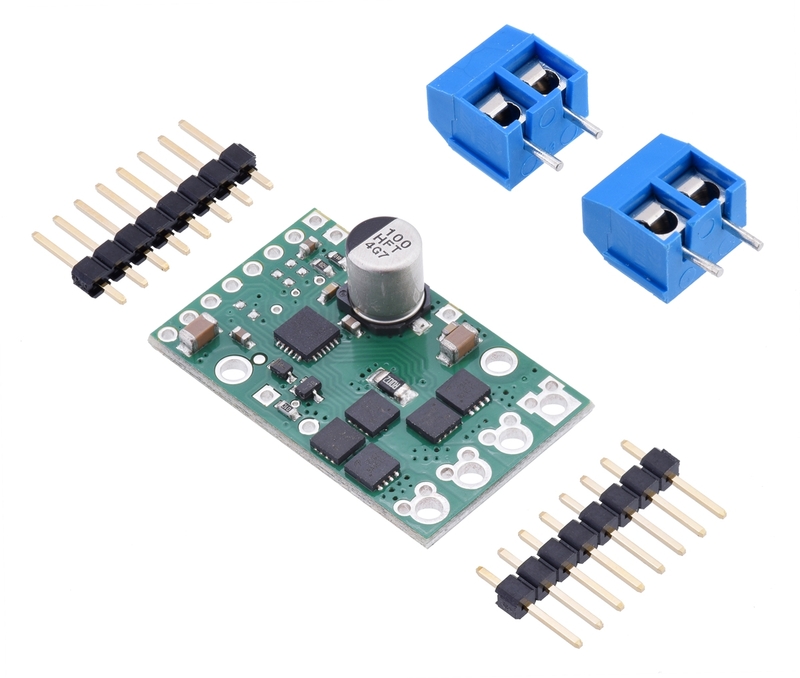 The versatility of this driver makes it suitable for a large range of currents and voltages: it can deliver up to 17 A of continuous current with a board size of only 1.3″ × 0.8″ and no required heat sink. The module offers a simple interface that requires as few as two I/O lines while still allowing for your choice of sign-magnitude or locked-antiphase operation. A current sense output gives an indicator of motor current, and the driver can limit the motor current to a configurable threshold. The power supply inputs feature reverse-voltage protection, while integrated detection of various fault conditions helps protect against other common causes of catastrophic failure; however, please note that the board does not include over-temperature protection. The G2 High-Power Motor Driver 18v17 is a second-generation successor to our original High-Power Motor Driver 18v15 and can be used as a near drop-in replacement in typical applications. See “Differences from original high-power motor drivers” below for more details.